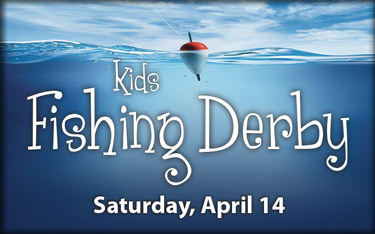 To help young people gain a better appreciation of fishing, I am hosting another Kids Fishing Derby tomorrow, April 14, from 9 a.m. to noon at Graeme Park, 859 County Line Road in Horsham. This is a great opportunity to introduce a child to the fun of fishing. We’ll make it enjoyable by holding a number of contests and awarding prizes. I encourage you to grab your gear and come out. Bait will be provided. The event will also feature free refreshments. 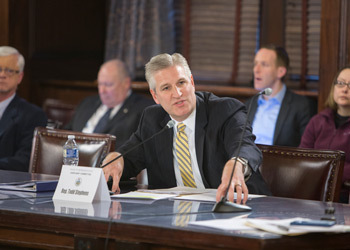 To find ways to reduce gun violence in Pennsylvania while respecting the Second Amendment, the House Judiciary Committee began a series of hearings this week on various pieces of legislation pertaining to firearms and public safety. I was one of nearly 30 members who chose to speak to the committee and introduce my ideas and thoughts to the committee. You can watch my testimony here. You can also read a column I wrote about my Extreme Risk Protection Order (ERPO) bill and why this would make a significant impact in Pennsylvania here. Many of the proposals being brought before the committee involve ways to keep firearms out of the hands of dangerous criminals, prevent domestic violence, enhance school safety, address street crimes and strengthen background checks. The hearings will continue next week. Live webstreaming is available at PAHouseGOP.com. In order to improve the state’s Child Protective Services Law, I have authored legislation approved by the House of Representatives that further clarifies mandated reporting requirements. Several years ago, following the recommendations of the Child Protection Task Force, the Legislature dramatically improved our child protection statutes in Pennsylvania. Among those improvements were changes regarding who must report suspected child abuse and under what circumstances. However, we have since recognized a loophole in the reporting provisions that my legislation corrects. • The mandated reporter comes into contact with the child through their work or volunteer service. • The mandated reporter or the organization he/she is affiliated with is directly responsible for the child. • A person makes a specific disclosure to the mandated reporter that an identifiable child is the victim of child abuse. • An individual 14 years of age or older makes a specific disclosure to the mandated reporter that the person has committed child abuse. House Bill 1527 clears up any confusion as to whether the reporting requirement applies to whether or not the mandated reporter personally witnesses an abusive act. My legislation makes it clear that mandated reporters who are reporting child abuse they have personally witnessed is paramount among the responsibilities that come with being a mandated reporter. 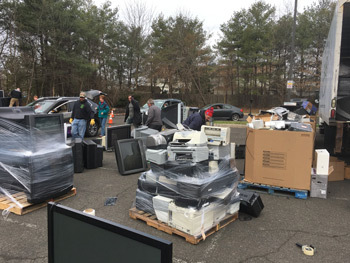 Shredding and Recycling Event a Huge Success! 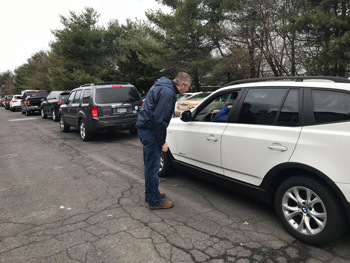 I want to thank everyone who took part in last Saturday’s shredding and electronics recycling event that I co-hosted with Montgomery Township. The event ended up having the largest turn-out to date! We filled two tractor trailers full of electronics along with two large shredding trucks! This equals FOUR large truck loads not being dumped into our landfills. Due to the large number of people who took part in the event, I have realized there is a high demand within our community for these services. Therefore, I have decided to host another recycling collection event in the fall. Please stay tuned for further updates. Earlier this week, my House colleagues unanimously passed House Resolution 682, which asks the federal government to study any potential health effects stemming from water contamination at the former Naval Air Station in Willow Grove. Specifically, it urges the U.S. secretary of Health and Human Services to select the former Naval Air Station Joint Reserve Base in Willow Grove and the former Naval Air Warfare Center in Warminster for an exposure assessment and study on human health implications of perfluoroalkyl and polyfluoroalkyl substances (“PFASs”) contamination. Over the past several years, public and private drinking water wells in Bucks and Montgomery counties have been shut down due to contamination from PFASs suspected of being released by the military in the form of firefighting foam. PFASs and other emerging contaminants are compounds being sampled for the first time in public water systems. In 2012, the Environmental Protection Agency added PFASs to its list of unregulated contaminants that may be hazardous to human health. According to the resolution, the assessment and study will help state and federal lawmakers understand the implications of the exposure and will aid the federal government in conjunction with state and local agencies to reverse the contamination and protect the health and welfare of our residents. Now that the resolution has passed, it will be transmitted to the president of the United States, United States secretary of Health and Human Services, United States secretary of Defense, the presiding officers of each chamber of Congress, and to each member of Congress from Pennsylvania. To help raise awareness of child abuse and seek ways to prevent this crime, the House passed House Resolution 757, which designates April 2018 as Child Abuse Prevention Month in Pennsylvania. In 2016, 4,416 children were victims of abuse or neglect in Pennsylvania, with 46 of those children dying as a result. Additionally, reports of child abuse or child neglect hit an all-time high that year with 44,359 cases. This illustrates that the public at large is becoming more vigilant and taking their responsibility to report seriously. Over the last several years, the House has passed nearly two dozen laws to make abusers pay the price, improve child abuse reporting and investigations, expand due process protections for those wrongly accused, share information to increase protection and strengthen prevention efforts. Many of those laws will continue to be re-examined and revisited to ensure that our laws are among the best in the nation to protect some of our most vulnerable members of society.